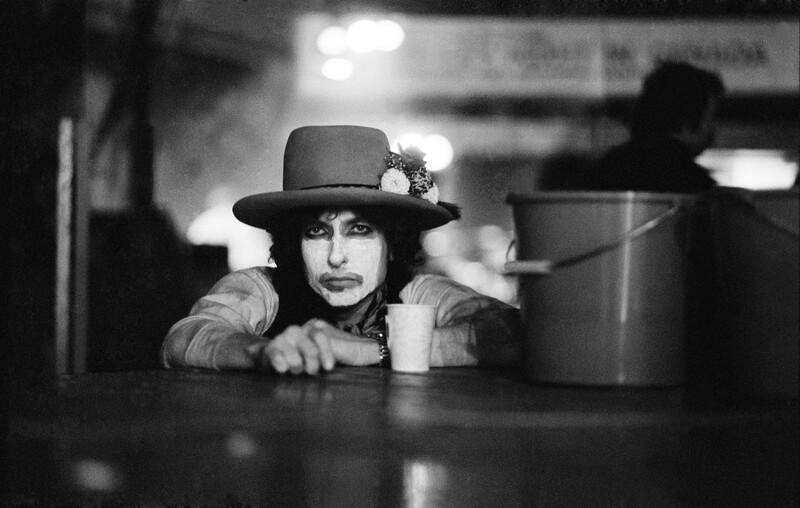 If I could write one thing to Bob Dylan, it would be a thank you note. Bob turned 70 on May 24, so this seems like a perfect moment. Of course, it’s hard to imagine him being 70 years old, but I’m sure he’s saying the same thing. If I could thank Dylan for one thing, it would be for setting an example that it’s okay to be relevant. A rock critic once wrote that he saved the world from “terminal, irrelevant schlock,” taking up real subject matter in every song. He did so (most of the time, anyway) without conveying the feeling of what some call “statement songs.” Many of his older songs definitely were, though the poetic strength of his writing made that either less obvious or more exciting. In writing, it’s always better to show rather than to tell, and Bob has showed us American life. For a long time, I’ve wanted to teach a university class called Rock Music as Journalism, and I think of Dylan as being the innovator of this genre. And this has some resemblance to how he perceived himself, and how he actually created those songs. “He said he was never a spokesman for a generation,” said Rob Faboni, who produced Dylan’s 1974 Planet Waves album. “He was just writing about what he felt was pertinent at the time.” Dylan, he said, would spend time in the New York Public Library keeping up with world events. As a writer, he paid attention to injustice, on many different scales. On of his most moving early songs, “The Lonesome Death of Hattie Carroll,” comes straight out of a news clipping. So here we have an artist who is not afraid to get his hands dirty with ink from newspapers. He was never above politics, or detached from it. He got Robbie Robertson to do the same thing, and from that, we get songs like “The Night They Drove Old Dixie Down”—which was written by a Canadian who did some research. Dylan also redefined the genre of folk music. There were obviously folk songs before Dylan; it’s just that very few people dared to write new ones, and certainly not on a regular basis. Folk music was a somewhat stodgy tradition—and he opened it up to new contributors and new ideas. He even influenced the Beatles, but he did more than turn them on to pot. He encouraged them to do something meaningful with their platform, and they did. Of the four, John Lennon took that message closest to heart. There was the episode when Dylan walked off the set of the “Ed Sullivan Show” when network censors would not let him play “Talkin’ John Birch Society Blues,” which mocks the Communist threat that was taken so seriously at the time, and is now known to be about the paranoia he was pointing out. A couple of years later, he and his band were attacked—even physically—by his fans at a concert in Forest Hills for because he came out with an electric guitar. Lest you think he was ever controversial for its own sake, that is, if his body of work is not convincing enough, let’s look at his astrology. His birth data is rated as AA—the highest rating, which means birth record in hand. We can be confident of his Sagittarius ascendant: He was born with a broad and far-reaching vision. The Galactic Center (literally, the black hole at the core of our galaxy, which is located in late Sagittarius) is rising when he is born; people with a prominent GC can have a cosmic quality, and an influence that seems to lurk behind everything. Even many people with no interest in astrology know that Dylan is a Gemini. He embodies the concept perfectly—the messenger-trickster who is witty and articulate in a way that is distinct to that sign. That Mercury has another special distinction—it’s connected to these odd points called lunar nodes, which bind a person to public karma. And he also has Venus in Gemini, granting him a status known even to his fans as a triple Gemini. Basically, that means there are six, 12 or 24 or him; multiple planets in Gemini tend to multiply. But that’s not the part of his chart that I find the most interesting. To me the really interesting part has always been that he also has four planets in Taurus. Gemini can have an airy quality and, by itself, can want for substance. This is where Taurus comes in. He is working from a foundation of solid values, and this is what he expresses in his music. Let’s consider how this works in his chart. In astrology, there are basically three kinds of planets: the kind that move fast (such as Mercury, Venus, and the Sun, which he has grouped in Gemini). The fast movers are about style and personality. Then there are the ones that move slowly. These tell the story of a generation and of society itself. Three of the slow-movers have collected for a rare conjunction in Taurus. This grouping will be present, in one form or another, for everyone born between 1939 and 1941. Hobby historians: do those dates ring a bell? The world was on the brink of many changes that would be propelled by the same astrology under which Dylan was born. 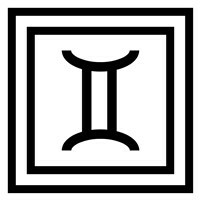 Taurus is often mistaken for a reserved, stable earth sign. It’s earthy like a volcano, or the place where two tectonic plates meet. There can be constant tension, even if it’s deep under the ground. People with strong Taurus in their charts have a lovely presentation, but they are on fire inside. Their need to constantly reinvent themselves is belied by that smooth exterior. But Dylan has the advantage of all that Gemini. He can reinvent himself externally, as an ongoing experiment. His strong Gemini gives him a stomach for something that’s abhorrent to most Taureans—inconsistency. On his 1976 album Desire, there is his famous tribute to Rubin “Hurricane” Carter, who was falsely accused of a 1966 triple murder in New Jersey. Had Dylan not put that song on the album, then done a benefit concert for him at Madison Square Garden, Carter might still be in jail. He was freed from prison in 1985 after his two convictions were thrown out. On the same album, Dylan has a tribute to Joey Gallo, a New York mobster suspected of involvement in the1971 murder of Joe Colombo, a major New York godfather. “Joey” manages to be a combination of a dirge, an obituary, and a protest song. The tribute to Gallo is every bit as sympathetic as the one to Carter. Is Dylan telling us he can see both sides of the story? Or that everyone deserves fair treatment? From the “two sides of the coin” files, in one biography I read the story of both the Gallo gang and members of the NYPD organized crime unit being invited to the final mix of the song. Both cars pulled up outside the recording studio at the same time and seeing the other, both left. This was attributed to Dylan’s wry sense of humor. You need a little of that if you want to be relevant. From one journalist to another, I would like to thank Bob Dylan for giving many people permission to say something that means something. Who would have thought, at the time Dylan emerged, that the world would become one giant advertisement, selling mostly packaging, usually paid for on a credit card. Thanks to Bob, strewn along the foggy ruins of time, we will find not only relics of what happened before us, but seeds of how to look at the world and see it clearly.